large avocado, peeled, destoned and finely diced Archives - Adelaide Central Market: The City of Adelaide's premier food destination. Over 70 traders under one roof. For the cocktail sauce, combine the mayonnaise, horseradish, Worstershire sauce, tomato sauce and lemon juice together, stirring until well combined. Add a good dash of tobasco sauce to taste and season with pepper. Place two thirds of sauce in a separate mixing bowl with peeled prawns, stirring to combine. Set both aside until required. 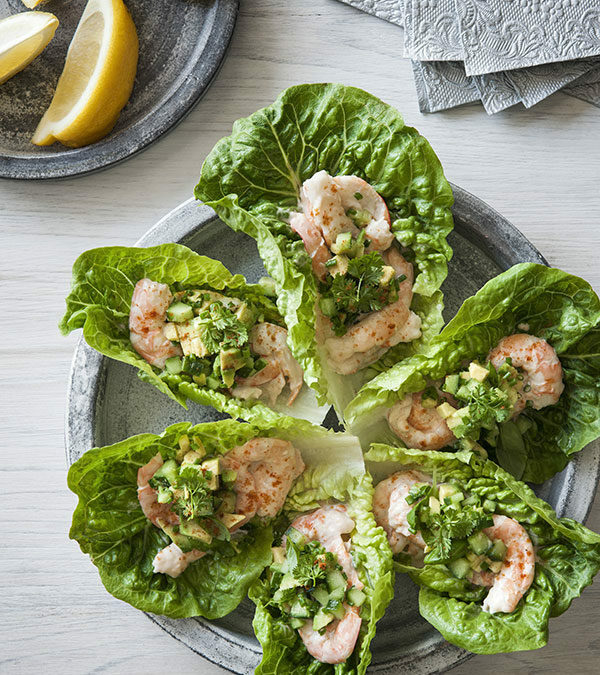 For the avocado salsa, carefully combine avocado, cucumber, basil, chervil, chives, lemon juice, salt and cayenne pepper together in a small bowl, stirring gently to combine. To serve, place 15 baby cos lettuce leaves on a serving platter. With the remaining cocktail sauce, place 1 teaspoon of sauce in the centre of each lettuce leaf. 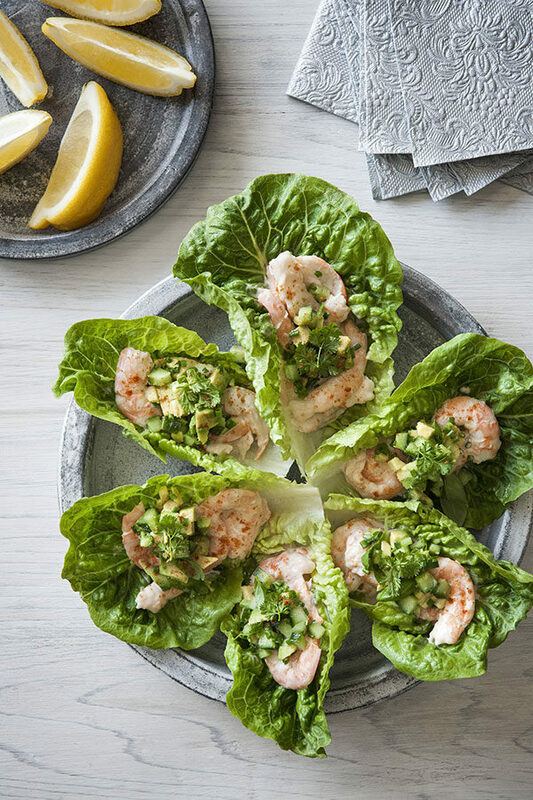 Evenly divide prawns between lettuce leaves, top with avocado salsa and garnish with extra chervil leaves.